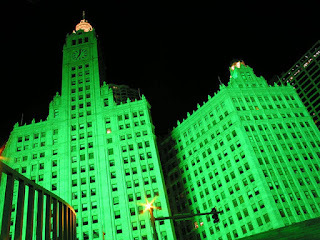 Bruce Mau moving closer to Chicago’s Jolly Green Mayor! That’s the plan? We had this back in November. Just a rumour, but we can’t deny that we’re looking to expand in the US imminently and that, yes, Chicago is a logical outpost, for five million reasons. And now it can be told. 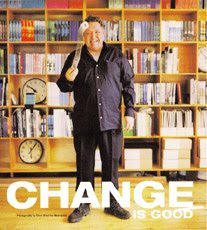 The Toronto Star reports that Bruce Mau Design will open a Chicago office before the end of June. [via] Interesting article for many reasons. “Sources say there are other factors that make Chicago attractive. Increasingly since 9/11 high-end clients and partners prefer not to cross the border for a meeting. And Mau was seduced when Chicago, unlike his hometown, embraced Massive Change during its run at Chicago’s Museum of Contemporary Art last year. “The light went on for both of us when we saw how everyone in Chicago, including the mayor, the artists and senior management teams, embraced Bruce,” says Mau’s business partner, Miles Nadal. Mau and his wife, Aiyemobisi Williams, have told friends they are shopping for a house in Chicago and looking for schools for their three children. 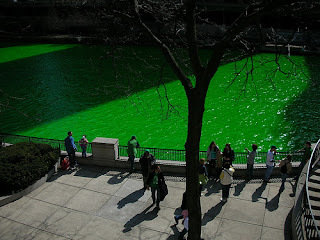 turn the river green once a year and talk about workers downtown one day fishing in it for their lunches. That hasn’t quite happened yet, but, his son the current Mayor wants to turn the whole city green! Not like this, I mean as in sustainable architecture…. Good idea. And Mau has a few good ideas too. You are currently browsing the archives for the Plan of Chicago category.